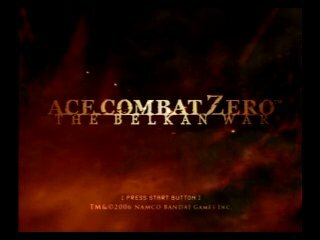 Released on April 25, 2006, Ace Combat Zero: The Belkan War is the prequel to all of the other games in the Ace Combat series. Taking place in 1995, the game follows two mercenary fighters Cipher and Pixy in a war between Belka and various nations surrounding it. But halfway through the game, when the war seems to be over, everything goes drastically wrong and a terrorist organization called "A World With No Boundaries" creates a new war, seeking to destroy borders, and create a unified world. The game's "three ace" system influences some of the battles and cutscenes you face throughout the game. Best time on Very Easy difficulty: Single-segment 0:57:06 by 'Thehealbus' on 2014-04-13.